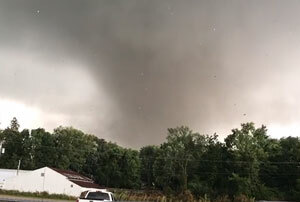 A tornado bears down on Marshalltown, Iowa. Photo credit: Kreg Lichtenberg. Earthquakes, hurricanes, floods, tornadoes, fires, and ice storms continually test the mettle and preparation of rural healthcare providers. According to the United Nations Office for Disaster Risk Reduction, the United States ranks second only to China of countries with natural disasters. And those are just the natural ones. Equally damaging in their own way are the man-made disasters, such as cyber-attacks, active shooters, and bioterrorism events. With limited resources and increasing financial and regulatory pressures, preparation for even one of these potential disasters can be overwhelming, but the key to surviving one of these events as a rural healthcare organization is planning, preparation, and the ability to adapt, be flexible, and expect the unexpected. In response to a patchwork of disaster preparedness resources, along with disasters that tested the fragile web of providers and saw unnecessary losses of life, the Centers for Medicare and Medicaid (CMS) enacted a disaster planning rule to ensure that providers were better prepared for emergencies. CMS Emergency Preparedness Requirements for Medicare and Medicaid Participating Providers and Suppliers, which went into effect in November 2016, required covered agencies to be compliant by November 15, 2017. CMS provides several templates and tools to help with planning to comply with the new rule. In addition, many companies provide in-the-box planning tools for a fee. Organizations might also find good resources from their associations or fellow healthcare organizations. All of these should just be used as guides, however. In order to effectively plan for disasters, the plans should be tailored to your unique agency and the hazards you are most likely to encounter. The rule also requires healthcare providers to drill at least two times a year, unless their emergency plan is implemented, and then one of those drills is waived for a year from the incident. One drill must be a live drill, but the other one can be a tabletop. A tabletop exercise is a discussion-based session where team members meet to walk through a simulated emergency. Key personnel are assigned emergency management roles and responsibilities and they discuss the various actions they would take in this emergency scenario. After the exercise is completed, a facilitator discusses what can be improved upon and that feedback is used to improve the emergency preparedness plan and future training. But where can you find a tabletop exercise to participate in? State and county emergency management personnel will often hold tabletop exercises and invite organizations to participate, but if your organization can’t find one in your area, the Federal Emergency Management Agency (FEMA) has downloadable free tabletop exercises that you could run with other organizations and emergency personnel in your area. While the rule is designed to ensure proper training and planning so that facilities, especially those in remote, rural areas, can properly respond to emergencies, many times it is only after studying disasters and the actual activation of emergency response systems that one can identify what works and what doesn’t quite go as planned. 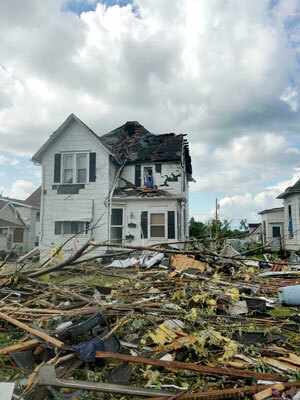 At least five tornadoes touched down in Iowa on July 19, 2018, two of which were EF 3s with wind speeds of 144 miles an hour. Photo credit: Mike Hammer. Last summer I witnessed the need for planning to failure firsthand while running a healthcare agency in Iowa. An EF-3 tornado cut a wide swath down Main Street of my community, destroying the heart of downtown as well as many small businesses, residences, over 800 cars, and a large plant that employed over 1,000 people. We had finished disaster planning only months before. All the pieces were there, and we had done both our tabletop exercise and participated in an active drill at another local healthcare provider, but some parts of our disaster planning worked well and some were tested. When the tornado had passed, our office had managed to escape without any damage. In the aftermath, I found the most helpful part of our plan was an idea borrowed from a peer provider — all of the patients had been classified as an A, B, or C according to their potential needs. The A’s needed immediate help and possible evacuation due to their frailty, oxygen dependence, or lack of a caregiver. The B’s would be able to sustain in place for up to 72 hours if their homes were not affected. The C’s were patients who resided in facilities or were in the inpatient unit and would have access to caregivers and a generator. This list would also have been helpful had we needed to send help to a specific patient’s home or in an extended power outage. What didn’t work as well were our secondary communication plans. Communication became the biggest, immediate obstacle. The phones, both cellular and landline, were so jammed and spotty immediately after the tornado that a calling tree was useless. I picked up the phone to call the radio station and then realized at least one of them was off the air, having sustained a direct hit. We resorted to putting our messaging out on social media. In fact, the internet became a powerful communication tool for compiling resources and providing information for many organizations during the recovery. In all our planning, I had not thought about the possibility that the phone lines, while still working, would be jammed or that the disaster might take down the radio station. On November 30, 2018, at 8:29 a.m., a 7.0-magnitude earthquake occurred near Alaska’s Matanuska-Susitna (Mat-Su) Borough and Anchorage, with some impacts to the Kenai Peninsula as well. The first quake and strong aftershock caused damage to roads, businesses, and homes. 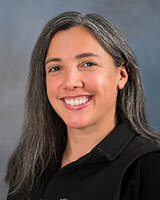 Sondra LeClair, Manager, Health Emergency Response Operations, State of Alaska Department of Health and Social Services. She also described statewide teleconferences that “provided this situational awareness and offered a venue for detailed infrastructure information from the Municipality of Anchorage as well as questions from the healthcare facilities.” LeClair said it was extremely important, due to the rural nature of the state, that the rural hospitals and clinics were aware of what was happening in Anchorage and the Mat-Su facilities. The consistent communication that we maintain, as well as the integrated nature of our training and exercises, ensured that the partnerships existed to support this response. 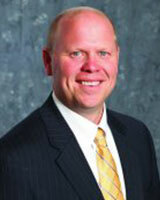 Michael O’Keefe, CEO, Redfield Community Memorial Hospital, Redfield, SD. For Redfield Community Memorial Hospital administrator Michael O’Keefe, planning and yearly drills payed off, allowing O’Keefe and his staff to react swiftly to an armed hostage situation in their hospital last summer. Caught also in the standoff was a ten-year-old hostage. In an interview with South Dakota television station KELO two weeks after the incident, O’Keefe recounted having the gun in his face: “Obviously never experienced that or hope to again, but it does kind of set a different tone. I need to get him out of the open area, I need to get him contained…. My whole purpose at the time was really just to get the individual into an area that was away from the patients and staff and new patients.” The standoff ended after more than 10 hours with the hostage released and the suspect surrendering without firing a shot. In the interview, O’Keefe also credited drills and training for helping with the outcome. “We really kicked it into action. A real situation is vastly different than the drills are but that’s what happens when you practice these trainings over and over and you go through these trainings. When the situation arises, you jump into that mode and that’s what we did that day,” O’Keefe said. O’Keefe added in a recent interview that there wasn’t one particular thing from drilling that helped them during the event, but the practice of continually drilling for different scenarios that helped the employees deal with real situations. He also said it was important that drills were as realistic and random as possible. However, despite the fact that the staff continues to drill, O’Keefe acknowledged that they must do things differently due to the changed environment the facility operates in after experiencing a live event. Despite debriefing with multiple agencies, as well as setting up resources and opportunities for employees to continue to talk about and work through what they experienced, healing is an ongoing process. The incident was significant, yet the following hours, days, and months were far more difficult than the ten hours of the actual event. As the healthcare industry continues to move to an ever-digitized environment and strive to provide patients with their data and information at the touch of a button, hackers are also lurking in the shadows trying to get their hands on the same valuable information. 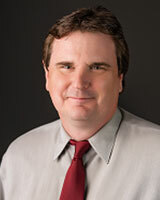 Joe Wivoda, Sr. Director, Healthcare, The Analysts. While any breach of significant size must be reported, all rural healthcare organizations big and small should take precautions to protect their data and information. Training of staff can prevent these sorts of attacks, and building awareness for staff is critical as well. Looking for information on cybersecurity for small healthcare organizations? Health Industry Cybersecurity Practices: Managing Threats and Protecting Patients offers a technical volume on the issue along with resources and templates. Wivoda pointed to a realistic and complete risk assessment, which is a HIPAA requirement, as one of the most important things a rural facility can do to protect itself. Sometimes when planning for disasters, healthcare providers think of the initial injuries and problems that are a direct result of what happened, but often those aren’t the only issues they see, as one Georgia hospital found out. In an article about their experience with Hurricane Michael in 2018, the pharmacy manager of a Critical Access Hospital (CAH) in Georgia pointed out that, while the hospital emergency room expected to see injuries from the destruction, what they actually saw were more common illnesses like sore throats and earaches because people were unable to get to their doctors and the pharmacies were closed. On the evening of the tornado in Iowa, after knowing that my family was safe, the first responder in me kicked in and I hiked a mile or so into the worst damaged area to see if I could help. The streets were so badly blocked by debris that I had to hitch a ride with a police officer to make it the last half-mile and then walked in to the medical shelter location in order to volunteer. I spent the night volunteering with the staff of the facility, taking care of individuals from the community that were oxygen-dependent and had been forced out of their homes by either damage or lack of power. They arrived without supplies, without medications, and with very little information. As I helped the wonderful night staff at the facility take care of these visitors, while they also took care of their own residents, I was struck by the thought of these fragile individuals living in our community every day and how it took an emergency like a tornado for me to see how vulnerable some rural residents are when disaster strikes. If your community has not been struck by disaster but the best way to learn what works and what doesn’t is to have a real-life disaster, what else can you do to make sure your plans will stand up to the challenge? Learn from those who have been through it firsthand. The HHS Office of the Assistant Secretary for Preparedness and Response (ASPR) aims to “save lives and protect Americans from 21st century health security threats.” On March 12, 2019, ASPR TRACIE, its technical assistance and resource arm, offered a free webinar about hospital-based incident command systems for small and rural hospitals. The speakers were from small and rural hospitals that have had a recent emergency and activated hospital-based incident command systems. The webinar recording, speaker biographies, and additional webinar materials are available. When asked if the Alaska earthquake had any lessons for the rest of the country, LeClair summed up what it is about rural healthcare organizations that makes them uniquely adaptable to disaster recovery. Whether ’that day’ involves an earthquake, massive wildfire, flooding, or other event, the fact that all resources in the community already know each other and can come together quickly to coordinate is a strength that is prominent in rural communities. This entry was posted in Features and tagged Abuse and violence, Alaska, Emergency preparedness and response, Georgia, Health information technology, Hospitals, Iowa, South Dakota, Technology for health and human services on March 6, 2019 by Tami Lichtenberg. Lichtenberg has over 20 years of experience in healthcare including policy, EMS, non-clinical and clinical administration.